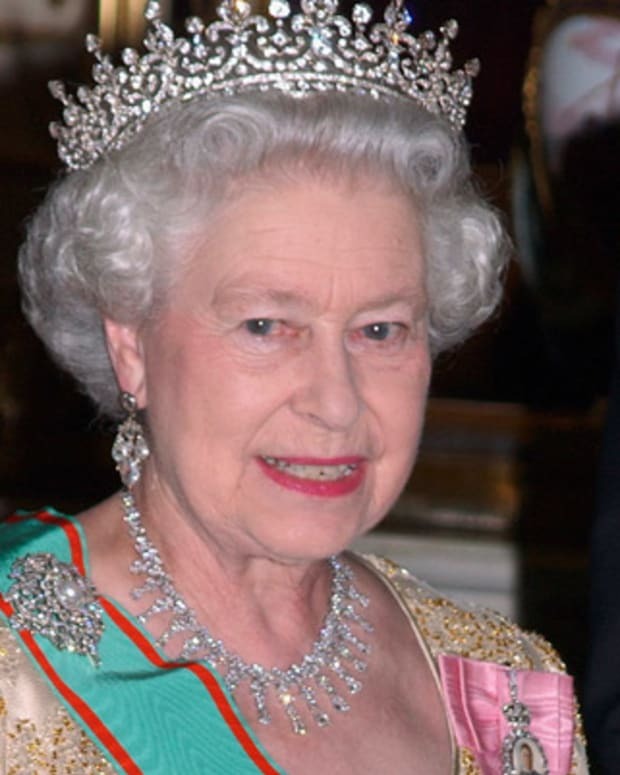 Queen Elizabeth was the Queen consort of King George VI until his death in 1952, after which she was known as Queen Elizabeth the Queen Mother to avoid confusion with her daughter, Queen Elizabeth II. She was popular with the public, earning the nickname "Smiling Duchess" because of her consistent indomitable spirit. She was of great moral support to the British public during WWII. The Queen Mother Elizabeth was born Elizabeth Angela Marguerite Bowes-Lyon on August 4, 1900. She was the ninth child and fourth daughter of Claude Bowes-Lyon, Lord Glamis, and his wife, Cecilia Cavendish-Bentinck. 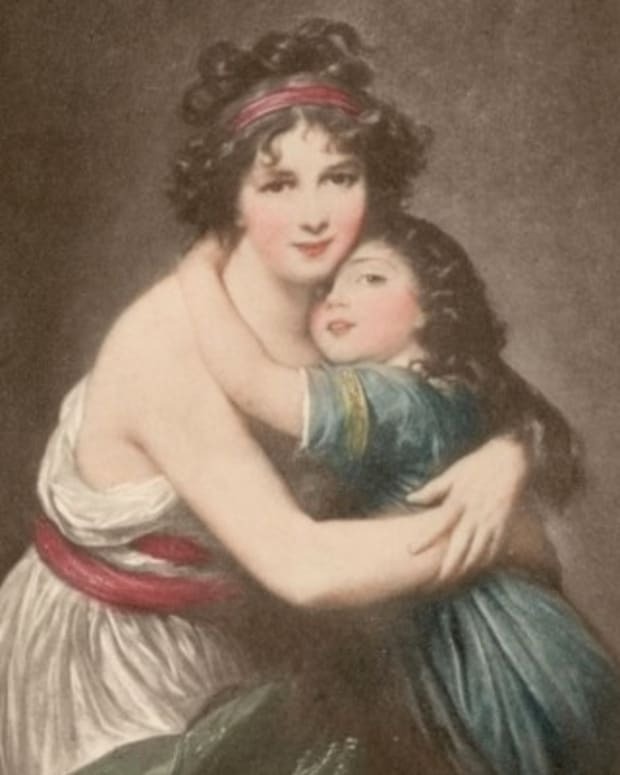 Elizabeth was schooled at home by governesses until the age of 8, when she began attending private schools in London. 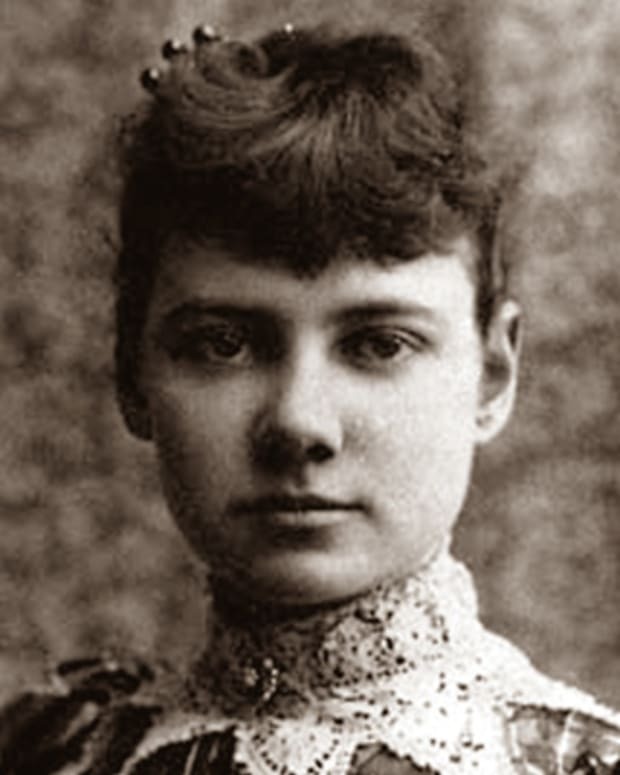 She passed the Oxford Local Examination with merit at age 13. World War I started on Elizabeth’s 14th birthday and her family home, Glamis Castle, became a hospital. Though she was too young to serve as a nurse, she did assist her parents in their efforts to support the war. Four of her brothers served in the army and the oldest, Fergus, was killed in action at the Battle of Loos, in 1915. From early childhood, Elizabeth and her siblings had been friends with the children of King George V. At 18, Lady Elizabeth was a strikingly attractive woman and many young men were drawn to her, including Albert, George V&apos;s second son (who would later become King George VI). Albert suffered from a relentless stammer, which added to his nervousness and insecurity. 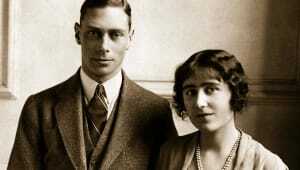 However, his unwavering adoration for Elizabeth won her over, and the two were married on April 26, 1923. They had two children, Elizabeth, born in 1926, and Margaret, born in 1930. During the first decade of their marriage, Prince Albert and Princess Elizabeth had the chance to establish an intimate and happy family life. He began seeing an Australian speech therapist, Lionel Logue, who helped him with his stammer. Elizabeth was very supportive of his therapy, often participating in his sessions. Their relationship was depicted in the 2010 film, The King’s Speech. In January 1936, King George V died, and Prince Edward (Duke of Windsor) ascended the throne as King Edward VIII. Edward was in love with Wallis Simpson, an American socialite and divorcee. 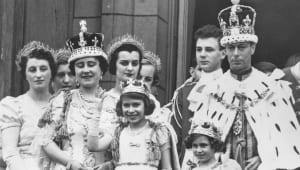 Advised that the Parliament would not approve of him marrying a divorced woman, Edward abdicated the throne in December 1936. Subsequently, Albert became king—a position that he was reluctant to accept. He and Elizabeth were crowned on May 12, 1937, he as King George VI, and she as Queen Elizabeth, Queen consort. 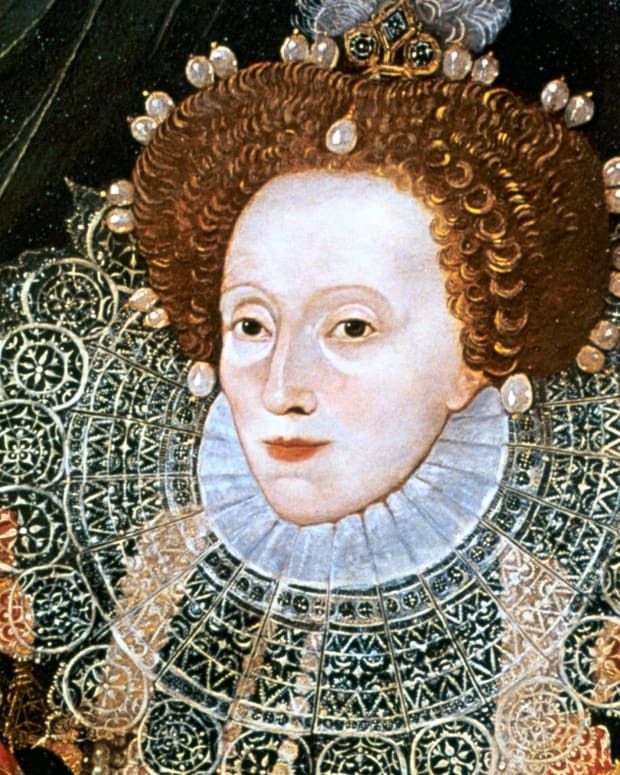 Queen Elizabeth never expected to be queen, but once it happened, she dedicated her life and that of her family to serving the nation and supporting her husband in his arduous duties as sovereign. As war clouds began to form over Europe, the royal couple visited two important allies: France, in July 1938, and the United States, where they met with President Franklin D. Roosevelt, in June 1939. The trip proved to be very successful as the queen was immensely popular with Americans. 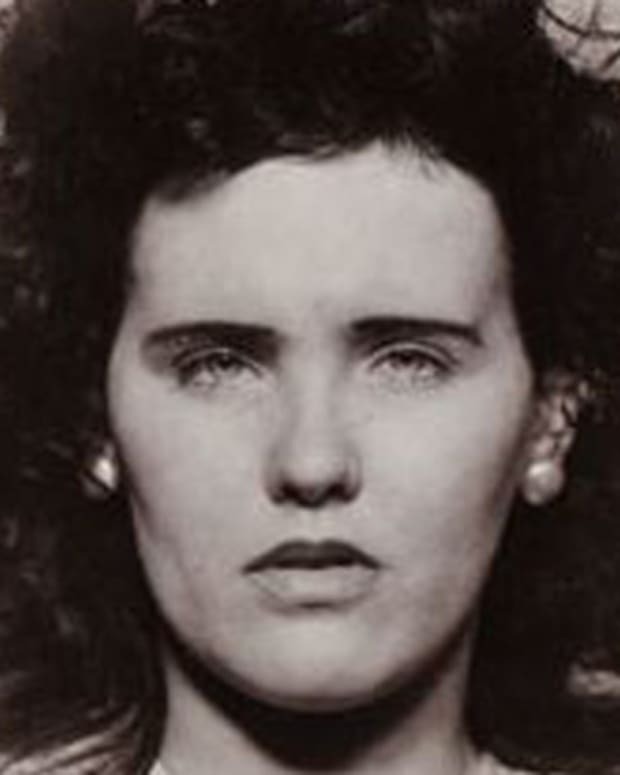 At the outbreak of World War II, some officials suggested that Elizabeth and her children evacuate to North America or Canada. To this, the queen replied, "The children will not leave unless I do. I shall not leave unless their father does, and the King will not leave the country in any circumstances whatsoever." Thus, the entire royal family shared the dangers and difficulties of war with the rest of the nation. When France fell to the Nazis in June, 1940, the queen sent a broadcast message to the women of France in their language, expressing her sorrow. Later in September, she was caught in a German bombing raid on Buckingham Palace, though she was unharmed. Throughout the war, she and the king toured hospitals and factories and visited with the troops, sometimes near the fighting. Queen Elizabeth also suffered personal sorrow when both her nephew and the king&apos;s youngest brother were killed during the war. In 1948, the royal couple celebrated their silver wedding anniversary. In a moving speech, King George VI spoke passionately of his marriage to Elizabeth, expressing how much she inspired him. Their strong bond would be needed as the post-war years brought on dramatic changes for both Britain and the royal couple. After the war, Britain&apos;s economy was all but bankrupt. Many of its former colonies were striking out for independence. Great Britain went through several years of harsh austerity, rebuilding its economy and shedding is colonies to form the British Commonwealth. 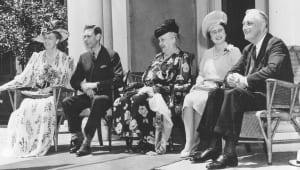 The royal couple also faced personal challenges: In 1949, a blood clot was removed from the king&apos;s right leg. From then on, Queen Elizabeth and her daughters fulfilled many of the king&apos;s public engagements. In September 1951, Georg VI was diagnosed with lung cancer. He and the queen were scheduled for a trip to Australia and New Zealand in January 1952, but Elizabeth chose to stay home with her husband instead; Princess Elizabeth and her husband, Philip, the Duke of Edinburgh, went in their place. On February 6, 1952, King George VI died. Princess Elizabeth and her husband returned to Britain immediately after hearing the news, and the nation went into mourning. 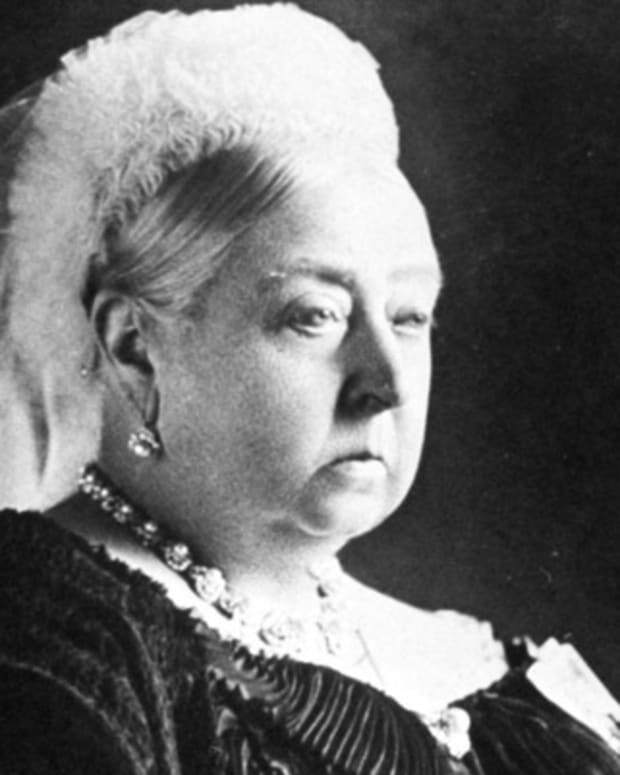 Queen Elizabeth deeply loved her late husband, and for a time after his death, it looked as though she would become a recluse. But remembering her duty, she accepted the tragic loss with stoic courage and soon resumed her public duties. She would go on to become a wise and respected leader. After her daughter’s coronation as Queen Elizabeth II, she took on the name "Queen Mother" so as not to be confused with the new queen. Following her service as queen, the Queen Mother said, "My only wish is that I may be allowed to continue the work that [George VI and I] sought to do together." 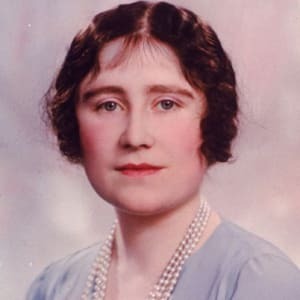 Over the next three decades, the Queen Mother became the royal family’s matriarch, but was always careful not to overshadow her daughter&apos;s reign as queen. 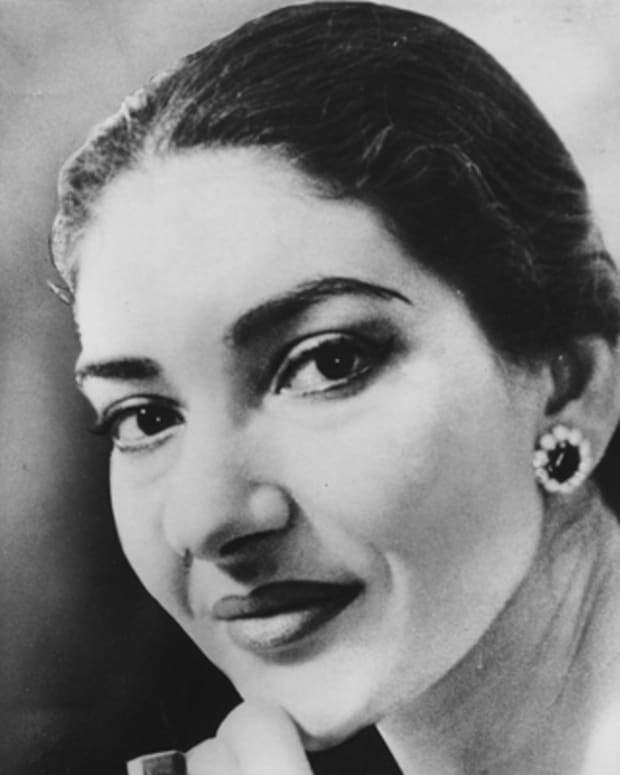 She continued to travel and make public appearances in the United Kingdom and throughout the Commonwealth, and she didn’t allow personal illness to slow her down: She dealt with an appendectomy, colon cancer and an operation to remove a fishbone caught in her throat, all while serving as matriarch. 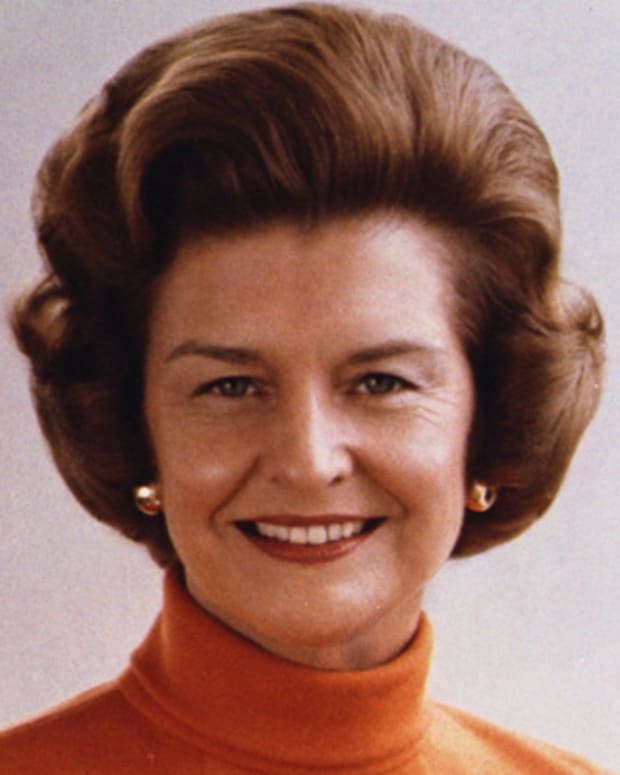 In addition to her public duties, she enjoyed growing camellias in her gardens, fishing and horseracing, owning several prize-winning steeplechase horses. The Queen Mother Elizabeth was particularly close to her grandson, Prince Charles. Soon after he wed Princess Diana, the Queen Mother welcomed Diana and took her under her wing. Following the young couple&apos;s divorce, Elizabeth&apos;s friendship with Diana cooled considerably—perhaps due to her strong opposition to divorce or her close relationship with Charles. Privately, Elizabeth was very disturbed by the divorce, though publicly, she tried to remain above the rancor and embarrassment. In her later years, the Queen Mother Elizabeth became known for her longevity. She celebrated her 90th birthday in August 1990, and continued to stay active with appearances at official celebrations. She also successfully underwent surgeries for a cataract, hip replacements and a broken collarbone. 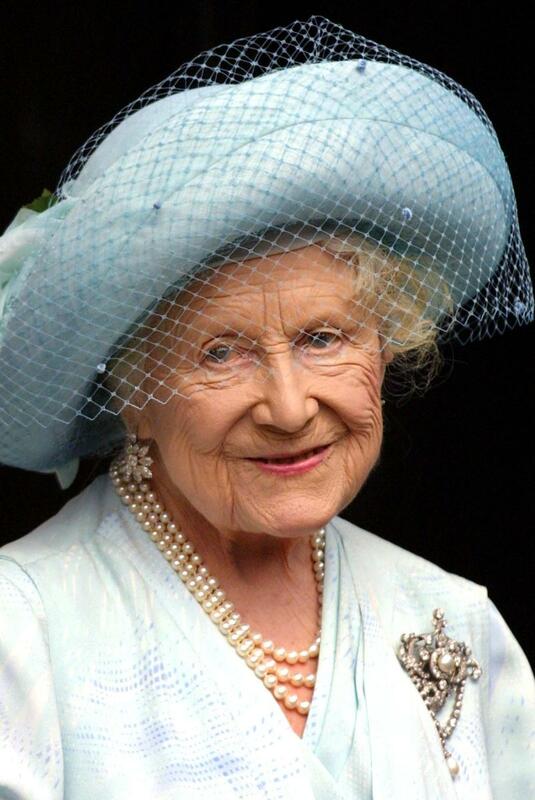 In December 2001, at age 101, the Queen Mother had a fall and fractured her pelvis. She recuperated well enough to attend a memorial service for her late husband in February of the following year. On February 9, 2002, her youngest daughter, Princess Margaret, died at the age of 71. Despite falling and injuring her arm a few days after Margaret&apos;s death, the Queen Mother managed to attend her daughter&apos;s funeral. On March 30, 2002, the Queen Mother died in her sleep at her home, the Royal Lodge at Windsor Great Park, with her surviving daughter, Queen Elizabeth II, at her side. She was 101 years old and at the time of her death, held the record of being the longest living member of Britain&apos;s royal family until Princess Alice, Duchess of Gloucester, surpassed her at 102.